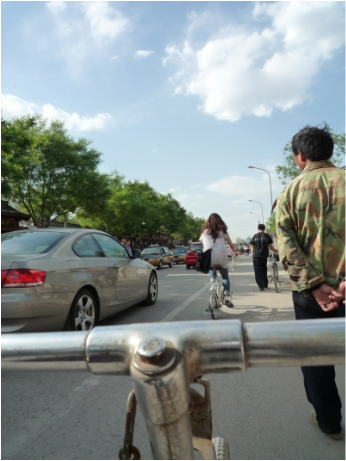 BACKGROUND: In the summer of 2010, I traveled to China where I lived in a "hutong" in central Beijing for five weeks. While living in Beijing, I studied firsthand the various levels of censorship China was implementing online and offline. In the spring of 2011, I presented my findings at Ball State University on a panel committed to discussing digital trends and communication practices present in other cultures. BACKGROUND: A colleague in the Department of Telecommunications at Ball State University contacted me requesting I visit an undergraduate seminar course (ICOM 101: The Digital World) to speak as a rising expert on surveillance and privacy (online and offline).